Modeled using our extensive experience with analog audio gear, the bx_oberhausen comes with full polyphony of up to 32 voices, Tolerance Modeling Technology (TMT) and a powerful set of effect modules. Our team has developed all the plugins you can see below. Get them exclusively at Universal Audio and/or Plugin Alliance. What all plugins have in common? We never compromise on sound. 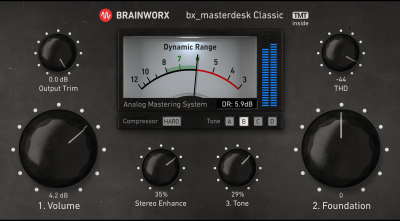 bx_masterdesk Classic is built upon the same high-end analog mastering toolchain as its bigger brother bx_masterdesk. In order to simplify the workflow for a fast and efficient mastering process, the control elements of bx_masterdesk Classic have been reduced to a minimal set. The SPL De-Essers remove undesired sibilant frequencies simply and precisely without compromising the timbre and character of your vocals. The best analog De-Esser ever made. Replacing Drums, the Easy Way. Tired of hooking up complex routings, importing drums, etc.? DrumXchanger utilizes 2 SPL Transient Designers to make zeroing in on the drums a snap. 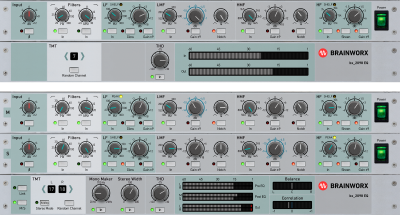 DSM V2 analyzes source material to create a custom multiband compressor (Up to 18 bands!) - offering results that no other processor does. Mastering guys, this is for you. Also a great problem solver in mixing. 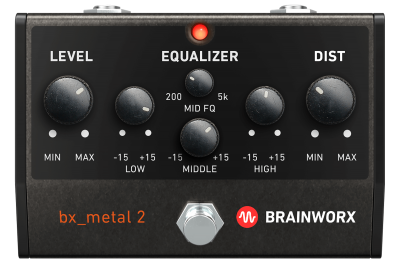 Brainworx’s powerful panoramic EQ allows you to EQ on any portion of the stereo field. 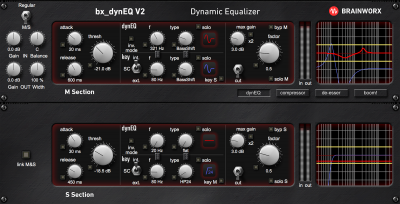 EQ the left or right side without affecting the center. Great for enhancing sounds and fixing issues that no other EQ can fix. Like having an analog tube mastering chain in your DAW. Easily soften harshness in mixes and masters. This plugin gives you that professional touch you hear on your favorite records. The heart of the legendary dbx 120XP subharmonic synthesizer, with some improvement and add-ons from the BX team. Add sub, punch and saturation to individual signals and busses. The 120XP basically was the .1 in 5.1! Make any Mono signal Stereo! 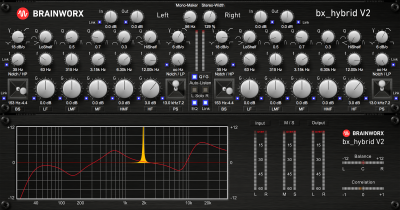 Frequency-optimized M/S upmixing plugin quickly and easily converts mono signals to stereo, while remaining perfect mono compatibility. 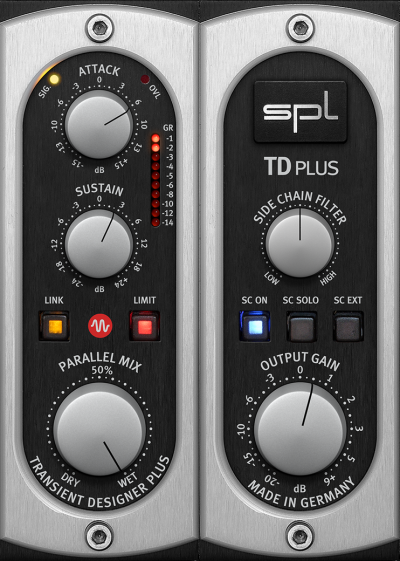 This SPL Microplug allows you to bring up the ambience of a space or the sustain on a transient quickly and easily. Modeled using our extensive experience with analog audio gear, the bx_oberhausen comes with full polyphony of up to 32 voices, TMT technology, M/S and a powerful set of effect modules. The Diezel Herbert plug-in thoroughly captures the hardware's cutting-edge circuit. From impossible-to-distort piano-like clean tones to searing early-VH textures, to absolutely groundbreaking extreme high-gain tones, the Diezel Herbert plug-in is the one-stop-shop for tracking bold, modern guitar tracks. 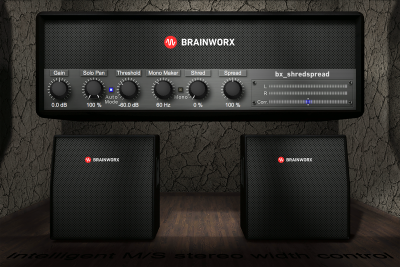 Made by Brainworx exclusively for the Apollo. The Suhr® SE100 plugin takes full advantage of Universal Audio’s Unison technology giving you ultra the realistic playability and the response of real tube hardware. Play live through the SE100 with near-zero latency and get the perfect tone. 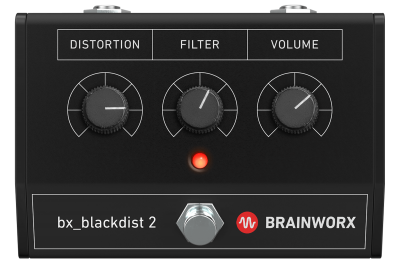 Developed by Brainworx exclusively for the UAD-2 platform, the Gallien-Krueger 800RB bass amp plug-in captures the sonics of the original hardware used by the likes of Red Hot Chili Peppers, Radiohead, No Doubt, and more. The BE-100 amplifier is the result of years of experience performing tone mods on his various clients’ 1959 Marshall plexis. Developed by BX exclusively for UAD-2 and Apollo interfaces, this plugin amp expertly captures Friedman’s jaw-dropping evolution to the classic plexi DNA. Eight rockin’ amp emulations with 40 pristine recording chains packed into one plugin. The iconic bass amp sound of the ’60s and ’70s, exclusively for UAD-2 and Apollo. Track and reamp with a punchy, modern take on the legendary SVT with the Ampeg SVT-3 PRO Bass Amplifier Plug-In. Legendary tube amp tones with modern touches from Chandler. 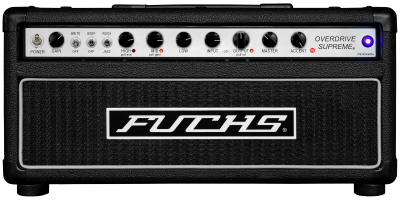 This is one of the smallest yet most versatile amps you´ll find. It does everything except for ultra high gain. The ENGL E646 VS delivers the tones required for modern metal--from crystal cleans to high gain goodness. Rock it! Available for UAD-2 and Native systems! Warm Cleans, Singing Distortion & Crunchy Rock Riffs. Dave Friedman’s Buxom Betty brings together British and American tone in one great sounding package. Taking its cue from Marshall’s earliest production amp — the venerable JTM45 — Friedman’s dual 6L6-based Dirty Shirley DS-40 amplifier is renowned for its rich, bell-like clean tones. 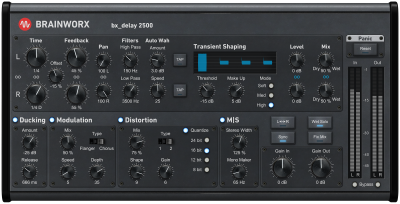 The DS-40 Amplifier plugin was developed exclusively for UAD-2. 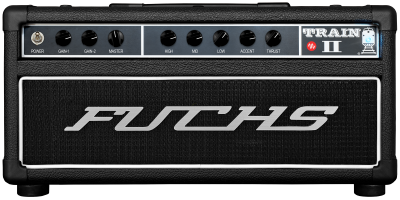 The Fuchs Overdrive Supreme 50 Amplifier plug-in for UAD-2 and Apollo interfaces expertly captures all of the nuance and tube-powered tone shaping of this legendary boutique amplifier. The VSC-2 combines the classic tone of the best VCA compressors from the 70s and 80s with a modern mastering quality signal path. 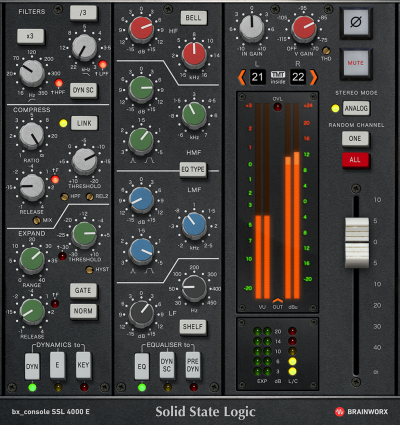 A modern take on the SSL Buss Compressor. Loud Made Right. 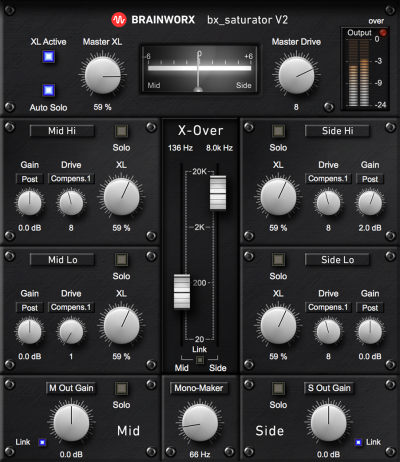 bx_XL is an M/S stereo mastering limiter that gives your mixes industry standard loudness easily and without sounding squashed or the artifacts often associated with high performance mastering limiters. 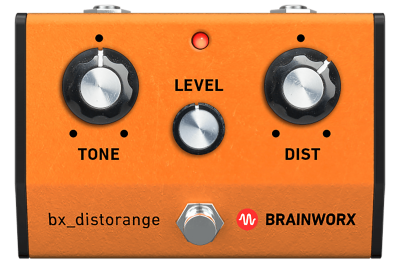 This extremely musical optical compressor from Brainworx delivers opto tone to tracks and busses. Professional grade low-latency limiter for mono, stereo & multi-channel signals. Perfect for stems and submits. 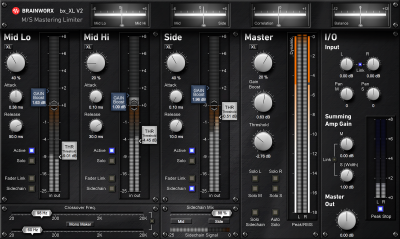 Easy to use, a perfect limiter to bring rough mixes to industry standard level. LA-2A style opto compressor. 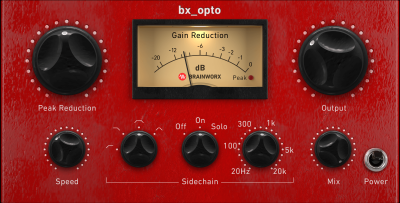 Vibey analog emulation of ACME´s opto compressor can be clean, dirty and everything in between. Level vocals or smash drums. With ground-breaking features like a gain reduction limiter and negative ratios, the mpressor redefines what a compressor can do. 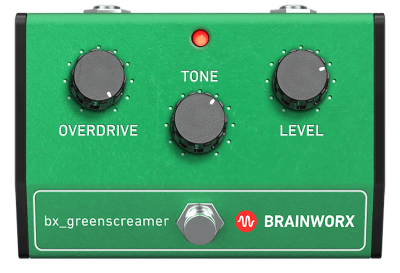 This is a punchy coloring compressor that adds THD and attitude to drums and many other signals. Next level transient shaping tool for managing the attack and sustain of your signals. Works great on drums and other individual signals, but also works wonders on busses and the stereo master. 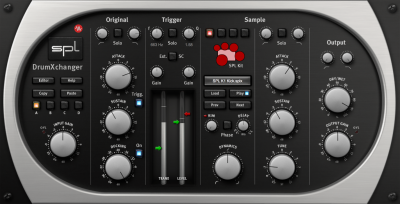 Faithful emulation of this super clean, but sonically flexible, compressor. 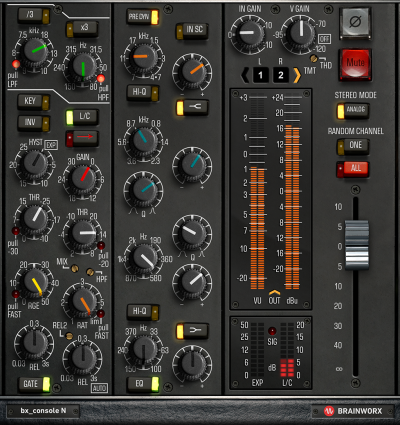 If you think you have enough compressors already and there isn´t anything new you could hear from a compressor, think again. 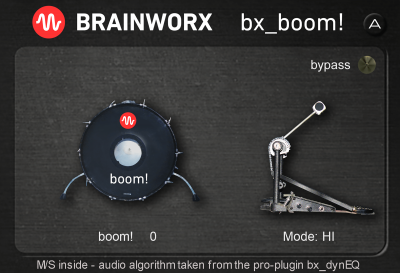 The bx_console takes in-the-box mixing to a new level of analog realism using Brainworx’s new Tolerance Modeling Technology (TMT). The sound of Dirk Ulrich´s personal Neve VXS 72 console in your DAW. Millennia’s premium mixing/mastering EQ lets you choose between ultra-transparent tube and solid-state signal paths. This is about the smoothest mid band EQ you will find. Awesome on individual signals and the master. The first hardware passive EQ with 3 separate frequency ranges for both boost and cut is now available as an Analog Code plugin. This is the mightiest passive EQ ever built. 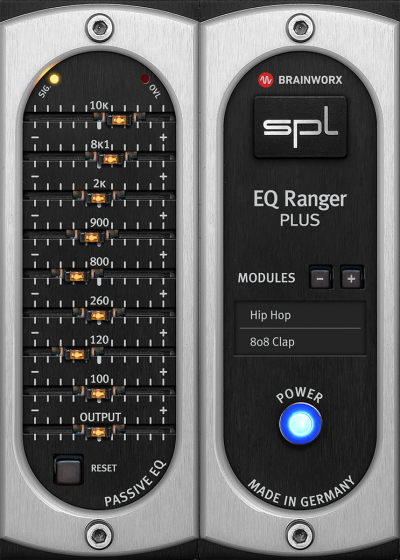 This powerful, flexible 11-band EQ allows you to quickly identify and fix problem frequencies. 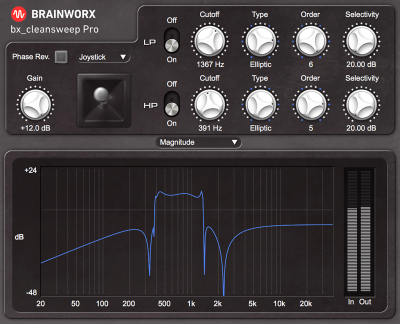 bx_cleansweep Pro’s incredible array of features and filter types will clean up your tracks and open new sonic possibilities. You can mix a whole song just with this little devil, try it. 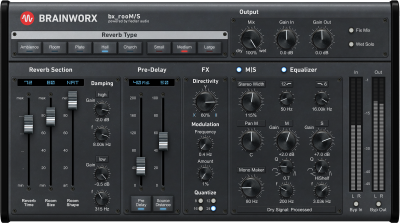 One of the most musical and forgiving EQs on the planet, the Dangerous BAX EQ allows you to sculpt your tracks and mixes like no other. Available for UAD-2 and Native systems via Plugin Alliance. The museq plugin makes elysia´s musical equalizer come alive in your DAW with all the tone and functionality of the original hardware. Smooth sounds and a great selection of standard EQ bands and boutique filters. Imagine having 181 EQ modules, each designed by a top pro for a specific purpose. There’s never been a faster path to the perfect EQ setting. A different approach to easy EQ-ing. 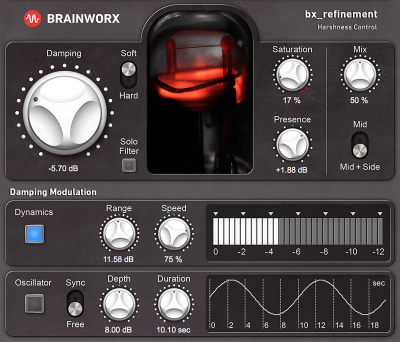 One of the lushest and most realistic reverb plugins in existence, bx_rooMS is a marriage of Brainworx M/S processing and Fiedler Audio TrueSpace technology. So low on CPU, we actually recommend you can use this as an Insert FX on many channels. Analog Bucket-Brigade Delay. A unique analog effects processor with powerful creative features, famous for transforming and widening any signal. Exclusively for UAD-2. Fast, accurate tuning with useful features like adjustable ballistics, muting or dimming. Tune up your axe right before you hit the record button in your DAW. Intelligent M/S processing will make your doubled guitars, keyboards and background vocal tracks wide and fat. 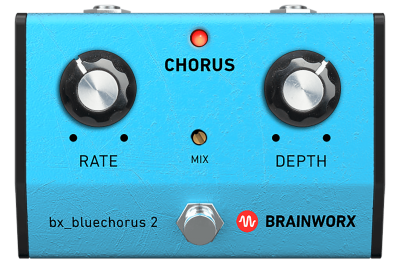 A great tool to have in your arsenal as it automatically avoids phase problems which often occur when mixing doubled guitars and vocals. Sophisticated Peak, RMS and Dynamic Range meter provides a detailed look at your audio signal, which will help improve the sound of your mixes. Offers L/R and M/S Modes! M/S Matrix, Stereo Field Enhancement plus Sophisticated Monitoring, and professional Metering. Mono your low end, check your mixes with the Solo features, or record M/S microphones in realtime. Shape sub content while adding punch and body to a sound’s core. 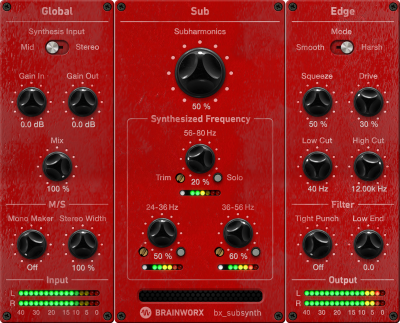 This is the filter section of the bx_subsynth plugin, free of charge. 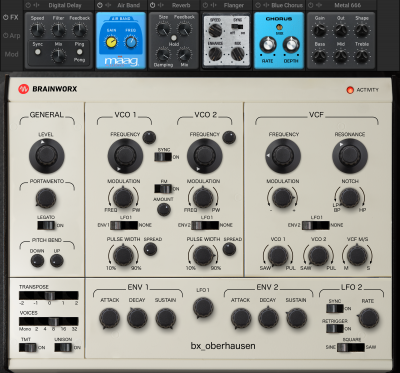 A powerful dose of 26 professionally designed presets that implement all eight amps from bx_rockrack V3. This is a free plugin with professional and usable guitar sounds for your projects. FREE! A super simple tone control that works like a set of scales. When you add highs you reduce lows and vice versa. As easy to use as a car stereo tone control, yet really effective with professional results. 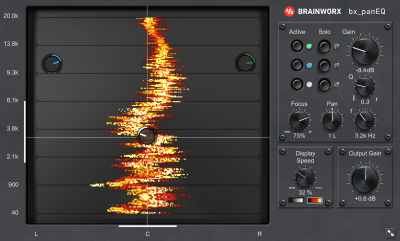 Super Simple 4-band graphic EQ with musical curves and an unbeatable price – FREE! The 16k band is made in heaven. 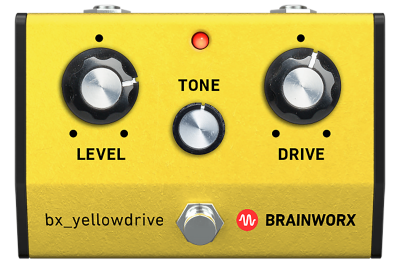 Warm to crunch to shred with this classic “Yellow” guitar pedal in plugin form. A great way to boost your guitar signals before hitting an amp sim, just like in the real world. 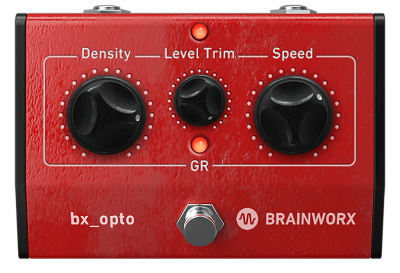 A simplified version of Brainworx’s bx_opto Tone Monster. Great on guitars, basses and even vocals and drums. 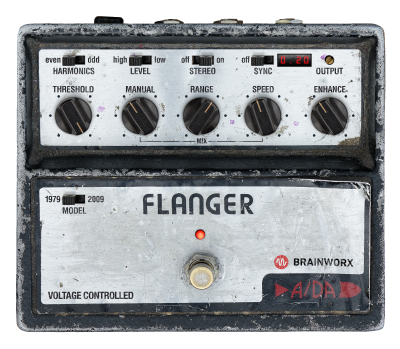 The A/DA Flanger may be the most legendary pedal flanger ever built. This pedal colored countless spun-out heavy-rock, funk, and reggae tracks of the ’70s into the ’80s. 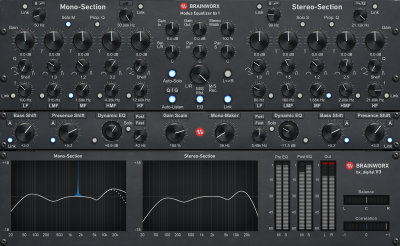 Add subtle warmth or crushing distortion with this flexible and no-nonsense M/S processor. Cranking up drums and loops, or gently saturating the Side signal of your masters, this is the tool to do it. Amazing presets get you started fast. elysia’s charismatic M/S “coloring box” adds analog saturation and tube-inspired tone to your music in the box. From subtle to extreme, this is a versatile tone machine. 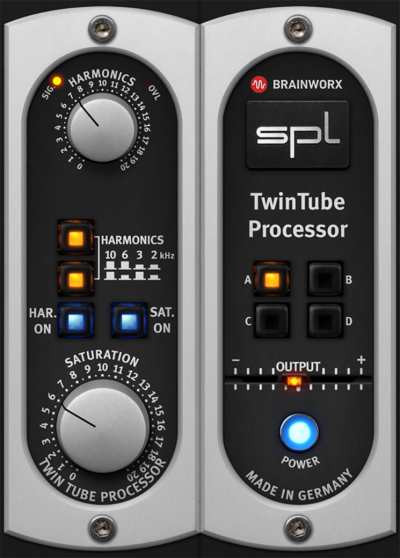 SPL’s TwinTube hardware is the go-to device for adding tube tone and warmth to digital tracks. This coveted device is now available as a plugin. 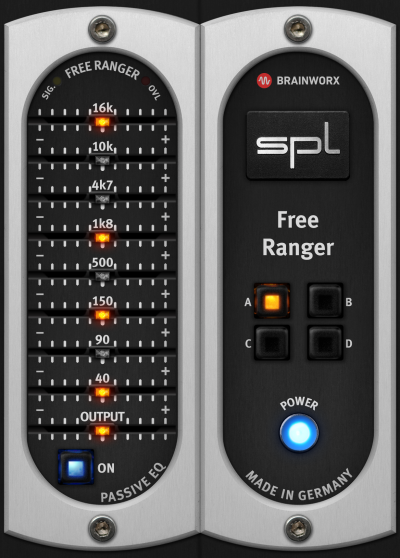 The SPL Vitalizer applies psychoacoustic and audiometric principles to achieve a verifiable improvement in quality while enhancing the sound.